The new Dutch coalition government programme, presented on Tuesday (10 October), said the Netherlands is "inseparable" from the European Union. It said that migration, climate change, and cross-border crime can only be tackled if the EU takes "a more active role". Tuesday's presentation came 209 days after Dutch elections resulted in a highly-fragmented parliament, which required a four-party coalition. Prime minister Mark Rutte will lead his third cabinet. His Liberals have teamed up with the centre-right Christian Democrats, the centrist D66, and the evangelical Christian Union. D66 is staunchly pro-European, while Christian Union has always been quite sceptical of European integration. 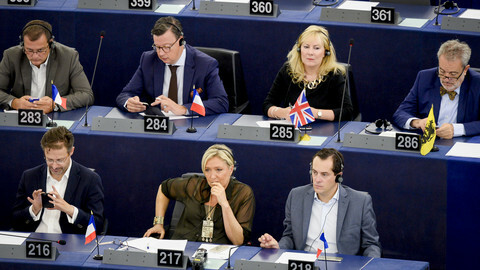 While the Christan Democrats sit in the European Parliament with the establishment group, the European People's Party, its Dutch leader, Sybrand Buma, has in recent years presented himself as a figure increasingly critical of the EU. Rutte himself has ruled with Buma's party before, from 2010 to 2012, at the head of a government that had support from the anti-EU party of Geert Wilders. Rutte's second coalition, with the centre-left Labour party, was more pragmatic on EU affairs. 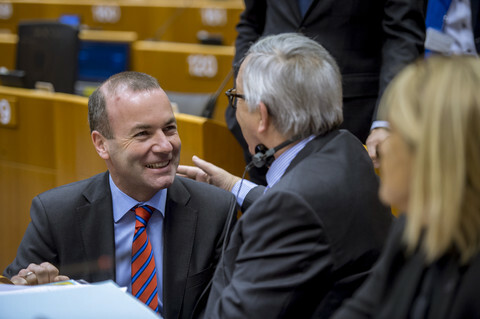 The parties support a "connection" between EU subsidies from the structural and cohesion funds, and a country's ability to stick to the Growth and Stability pact on government spending. The European budget should be "modernised: more focused on innovation, research, climate and sustainability". Although the previous Rutte cabinet opted not to join the European public prosecutor's office(EPPO), this government said participation in EPPO would "facilitate cooperation to tackle fraud with EU money". The programme said that the cabinet will decide during its mandate "when" the Netherlands will join EPPO – not "if". The current situation of human rights and rule of law in Turkey means that Turkey has "no perspective" to join the EU. The coalition partners support the European Commission's efforts to achieve a "digital single market." The Netherlands will tax companies that are only based in the Netherlands "on paper" and will advocate for an end of tax havens. The government-to-be announced that royalties and interest going to countries with "low tax jurisdictions" will be taxed, in an effort to tackle tax routes which allow international companies to pay very little tax. The agreement specifically mentioned the Panama Papers, a tranche of documents which showed the way in which money was being pumped around to avoid paying taxes. This scandal has triggered the Dutch parties to agree on an increase its tax oversight, they said. The new government in The Hague will spend €13 million extra annually on counter-terrorism policies, and will lobby in Brussels for a "much tougher EU approach to jihadism". On migration, the four parties signalled they are open to new deals comparable to the one between EU and Turkey. For the left-wing Green party, being unable to agree on migration was the reason talks for its inclusion in the coalition – instead of the Christian Union – collapsed earlier this year. The country will increase its resettlement admission target, under an UNHCR programme, from 500 to 750 annually. 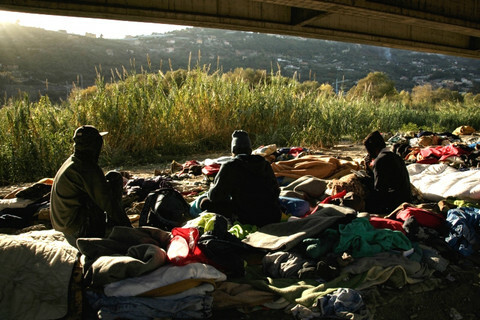 It said a common European asylum policy is needed, and that the European Commission was "correct" in telling member states to be more effective in returning migrants whose asylum procedure has failed. The Netherlands will do its "fair share" in recently set up EU relocation programmes. The coalition parties also said that EU countries that refuse to resettle migrants, should be punished through a reduction in EU subsidies. The coalition has agreed that the Netherlands and the EU should deliver more in the field of climate action. It said the EU-wide goal of 40 percent CO2 reduction by 2030 should be increased to 55 percent, compared to 1990 levels. "If a sharper EU goal appears to be not feasible, then the Netherlands will strive to achieve more ambitious agreements with likeminded north-western European countries," the agreement said. It said that the Netherlands itself would reduce its CO2 level by 49 percent. This would require substantial efforts, since a recent study said that it is "highly unlikely" that the Netherlands will be able to reduce CO2 by 25 percent by 2020. This estimate, by think tank CE Delft, was based in part by the end of a project to deploy the carbon capture and storage (CCS) technology. The coalition deal wants to use CCS to reduce industry emissions, which should account for a third of reductions. All of the Netherlands' coal-fired power plants "should be closed by 2030", and all new cars coming on the market by that date should be "zero-emission cars". Ahead of the reform of the EU's common agriculture policy, the Dutch coalition deal said that after 2020 this policy should be "simplified", as well as be less targeted as a means to support farmers' incomes, but more to support innovation, sustainability, food security, and food safety. The new Dutch government will also propose EU rules on increased animal welfare. The new government also wants to annul the law which made a referendum possible on the trade and political treaty between the EU and Ukraine. The 2015 law allows citizens to demand a plebiscite on a recently adopted law if they acquire 300,000 signatures. Last year, Dutch voters at the first such referendum, on the Ukraine deal, struck it down. Consequently, Dutch diplomats and the government spent countless hours trying to find a way to find a 'solution' to the Dutch 'No' – in the end a non-binding paper was attached to the treaty, which No campaigners criticised as being meaningless. Meanwhile, it looks increasingly likely that a second citizens-enforced referendum will take place before the law making them possible will be abolished. A law on so-called 'dragnet' surveillance of Dutch citizens has been criticised by students and privacy activists. This week, the 300,000 signature threshold was reached, although they still need to be declared valid by the Dutch electoral committee. As a possible advance, the coalition partners specifically dedicated a paragraph to the new law, saying its evaluation will take place earlier than planned, with the option to increase oversight to ensure it is not being misused to randomly spy on citizens. The differences between the four parties, including a left-wing green party and two centre-right parties, were "simply too large".